Photoshop is regarded as an almighty photo editing tool that can perform miracles on your images. Perhaps rightfully so, but not all photographers needed the advanced features Adobe's software provides, and luckily there are many Photoshop alternatives available to people who would like to explore other options. We have compiled a list of best Photoshop alternatives in 2017, based on parameters such as the number of features the software is offering, a range of supported picture file formats, cost-effectiveness and how easy to use the software is. Let's have a look at the best Adobe Photoshop alternatives in 2017. Wondershare's photo editing software is designed to enable you to process large quantities of photos simultaneously with its batch photos feature. Fotophire can be downloaded for a free trial that will allow its users to get better acquainted with this software. The easy to use interface will allow you to add frames to your photos, use creative blur and vignette features in order to make your image even more beautiful. In addition to over 200 photo filters and overlays, Fotophire provides a number of useful photo editing tools such as automatic background detection that lets you remove the background of your photos with ease or a clone stamp tools that can be used to manipulate images in a professional way. Online marketers and all other photo editing enthusiasts will enjoy using the best Photoshop alternative for PC currently available on the market. PC users in need of a cost-effective photo editor will benefit from this open-source software, that comes with nearly all features offered by Photoshop. However, photo editors who are used to Photoshop's interface will need to take some time to grow accustomed to Gimp's interface. Gimp is a feature-packed software that can be used to perform even the most demanding photo editing operations, which makes this Photoshop alternative an excellent choice for both inexperienced and highly skilled photo editors. Regardless of the photo editing task you have on your hands, Gimp can help you accomplish a professional result. Although pricey CyberLink's photo editing software is among the best alternatives to Photoshop in 2017. This program is designed to make the processing of landscape photos, portraits and travel photos simple, but the features it offers will allow you to create photos of the highest professional standards. The software enables you to instantly fix photos with tools that automatically redistribute tonal values, while the software's photo manager recognizes the faces of the people featured in the photos and organizes them in a manner that allows you to find your photos with ease. Furthermore, the latest version of PhotoDirector lets you create breathtaking 360-degree panoramas, that will make your travel photos memorable. Surprised Bonus: After you tried these powerful Photoshop alternatives for windows, your photos must be in hiqh quality . 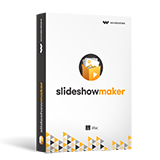 Do you want to put your favorite photos into an impressive slideshow then share to your friends or colleagues ? If so , here we recommend a fashionable product Fotophire Slideshow Maker. Dozens of user situation like kids, love, birthday, holiday etc to personalize your slideshow. Besides, Adding music and editing functions are also available . Don't waste time, just come to have a free trial ! Mac computers are powerful enough to enable you to create any sort of photographic image you want, and if you are a Mac user who is searching for an alternative to Photoshop, purchasing Pixelmator photo editor may be the right choice for you. Even though this software isn't free it is still much more affordable than Adobe's famed photo editing software. Pixelmator will let you professionally retouch your images or digitally paint your own masterpieces, and to make things even better you will never have to worry about how to use a certain feature because this software offers a ton of tutorials. Photographers and photo editors who need a software that provides support for a wide range of photo file formats should look no further because the Affinity Photo editor offers support for nearly all types of picture files. The software is engineered for professional use, and inexperience photo editors may not need all of the features provided by the program. The Affinity Photo editor allows you to edit RAW picture files as well as to choose the color space you want to work in. Grayscale, RGB, CMYK or any other color space you can think of will help you prepare your pictures for the printing process. This Photoshop alternative for Mac can be best described as the perfect blend of Adobe Illustrator and Adobe Photoshop because it combines the tools required for design and photo editing. The software enables you to use gradients and layers which makes using different elements in a photo much easier. In addition to fantastic design tools, Sketch also features color correction tools and all other options required for professional photo editing. However, its price may be too high for some Mac users, but it doesn't change the fact that it is still one of the best Photoshop alternatives for Mac. Fast, fun and easy to use are the words that best describe this web-based Photoshop alternative. Photographers who are looking for a simple and quick way to edit their photos will love using Pixlr because it offers all basic photo editing features and much more. You can crop images, add text, use gradient tool or save images in any photo file format you want in this free to use online photo editor. However, processing larger files may be a cause of concern, but photos for online use can be easily edited. If you don't want to waste time on installing the photo editing software on your computer, but still need to edit a lot of photos, Sumopaint may be a great option for you. This online photo editor is basically one of the best Adobe Photoshop alternatives in 2017 that enables you to desaturate your pictures or adjust color balance and any other color value. 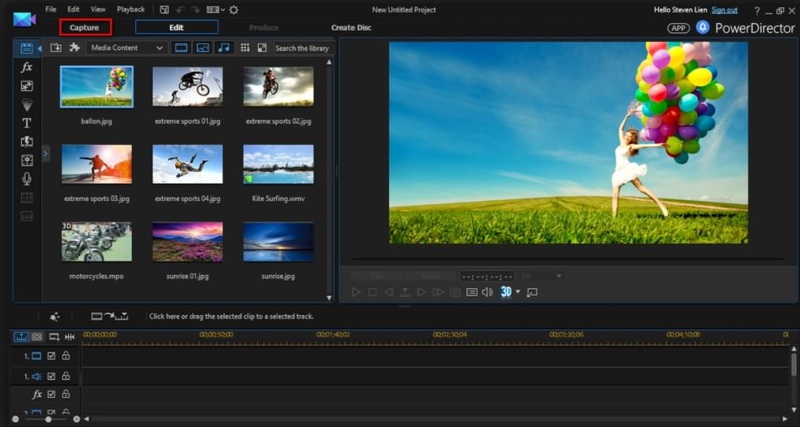 Although this web-based photo editor can be used free of charge, some more advanced features are only available if you become a registered user. 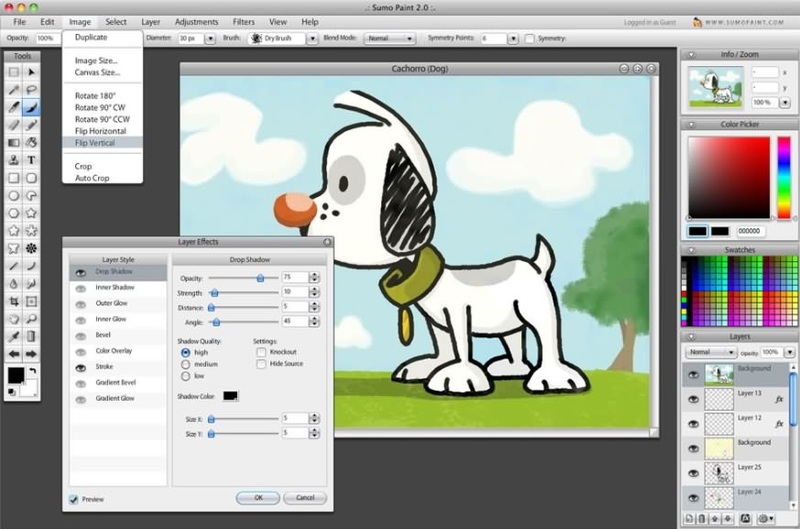 Sumopaint will enable you to process your photos effortlessly and save them in some of the frequently used file formats. This neatly organized online photo editor can be used to professionally edit photos directly from your web-browser. Adjust, Draw and Effects menus are packed with features that allow for the great amount of creative freedom and make any photo editing task simple and easy. LunaPic combines graphic design and photo editing features which makes it a perfect tool for the production of web graphics. Creating visual content your business associates, friends and family will adore with this free to use photo editor is fun and it doesn't require you to be a skilled and experienced photo editing professional.